Finalizing review of 2016 and coming to the knowing of 2017. Lillian is done with this part of the process. And Thomas may create his in the moment. We had a nearly two hour family meeting last night. I shared my theme of 2017 – The Shift. Shared my two words for the year: Knowing and Allowing. 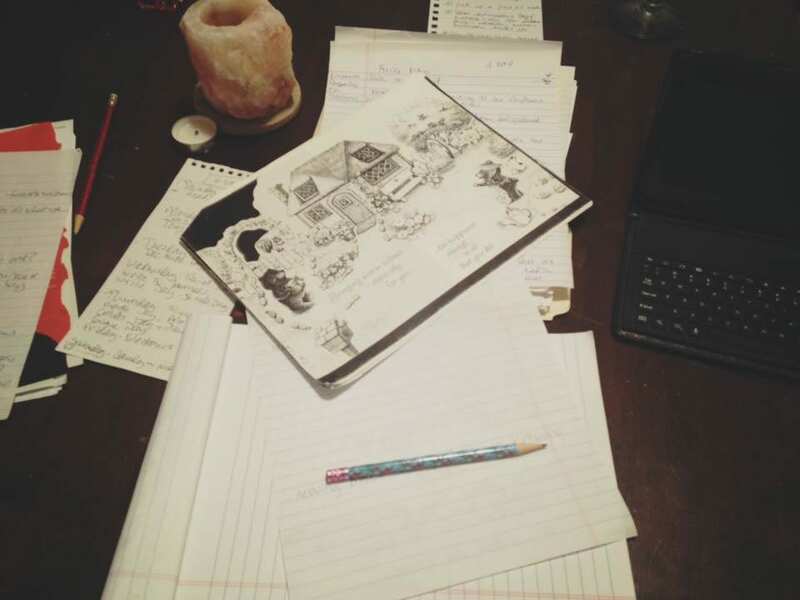 And my anchor – Writing. I also shared that there is deep tiredness within me. All part of the process for me and a quality that is an integral part of the shift that will occur. I will be releasing some things that do not serve me nor our family. And, as of now, may very well be as a tree and hibernate for the winter. We’ve moved on to the next step! Perfect for the cleansing nature is processing right now with this rain. On to the next step …. Making art of our 2017 hearts desire. We each create our own and we create a Team TLC vision. This feels amazing! Completed the art version of my 2017 Heart’s Desire … Feels incredibly powerful. The two words for 2017 are “Knowing” and “Allowing”. Knowing is comprised of Spirituality, Meditation, and Mindfulness. Allowing is comprised of allowing my good from expected and unexpected sources. The anchor for 2017 is Walking and Writing. The theme, two words, and anchor are cradled in the embrace of LOVE. ….. Now on to The Team TLC art version of our collective heart’s desire for 2017. I’ve been creating boards since about 2008 or 2009. So I’ve developed my own method using ideas learned from others and my intuition. The past few years they’ve gotten “livelier”. 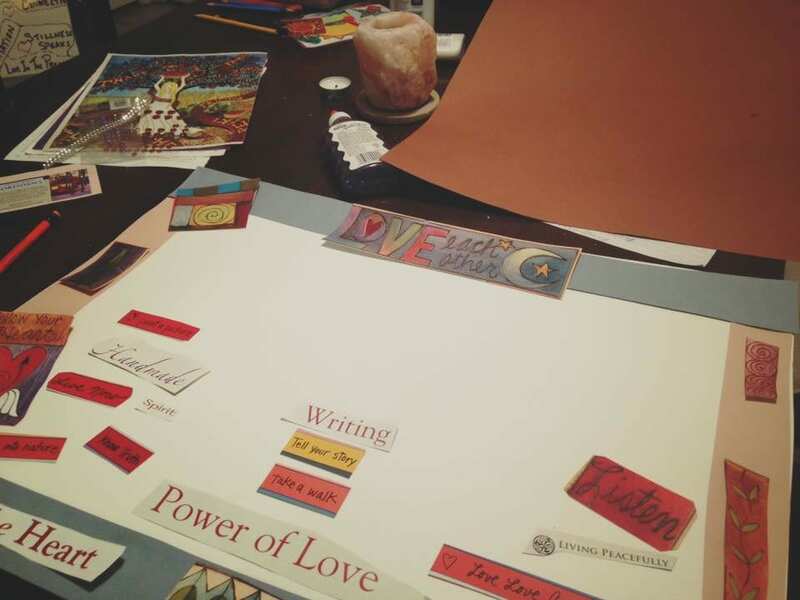 Once I began to have a theme, focus words, and an anchor – they became more powerful. Here is the progression showing 2015 and 2016. 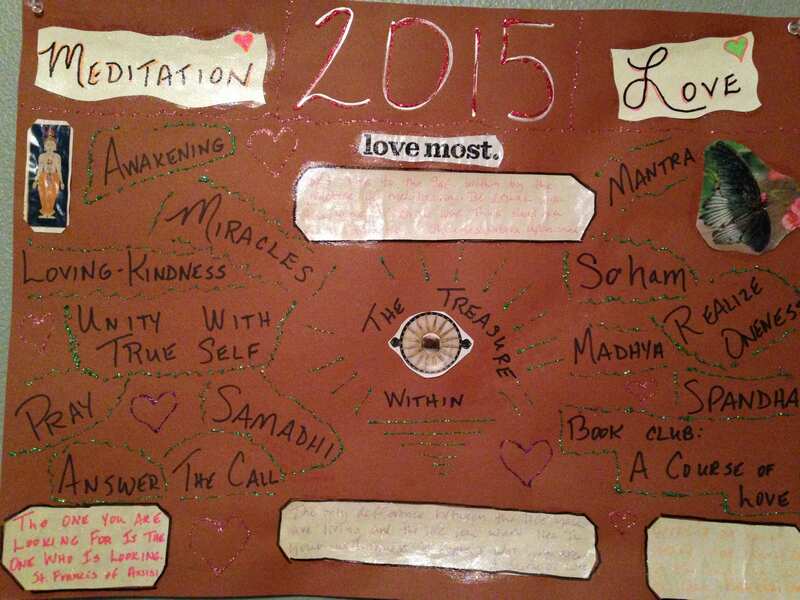 2015 Theme was LOVE, two theme words were “Love” and “Meditation”, and anchor was “Treasure is Within” …. 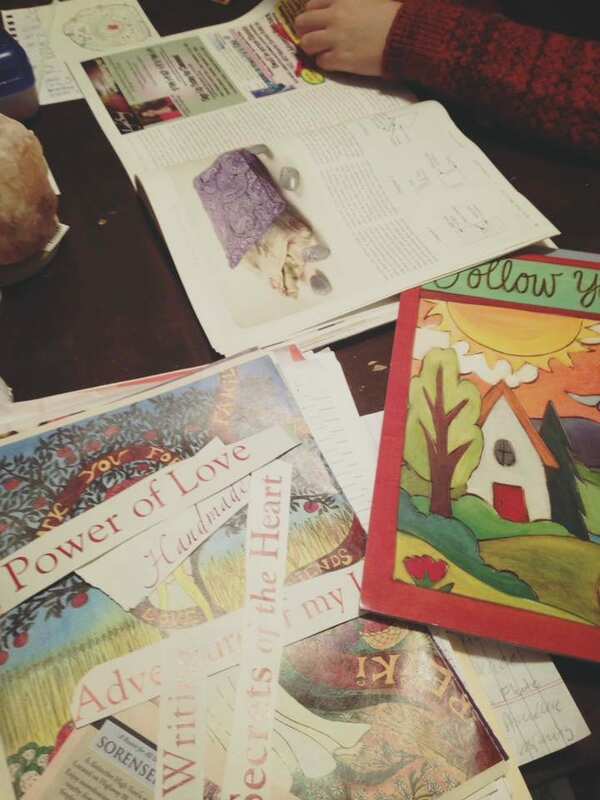 This was the year that my meditation practice shifted and became deeper than I could have imagined. My two grandmothers, who are no longer with us, visited me in meditation and in my dreams. They delivered a message (during a time of intense need of receiving said message) that the treasure I seek is within me and always has been. I had just hidden it. 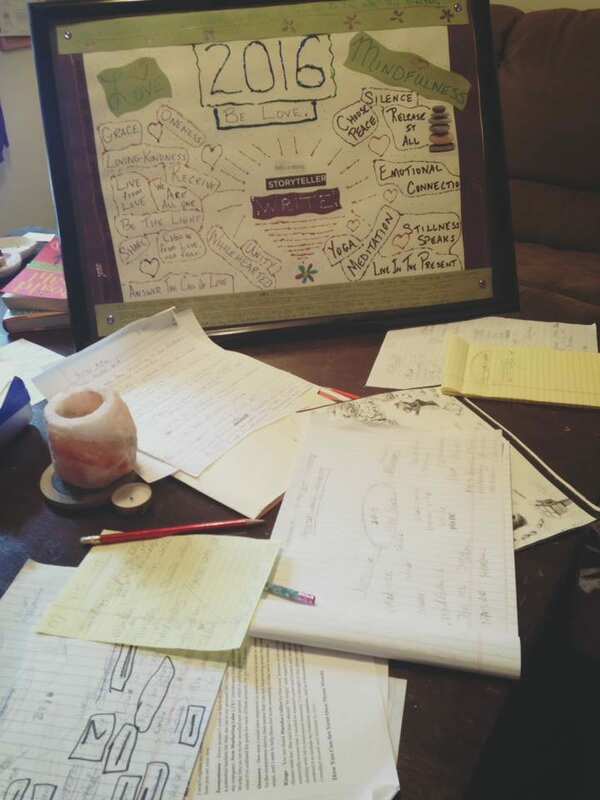 All of this happened during the year AFTER I created the board. 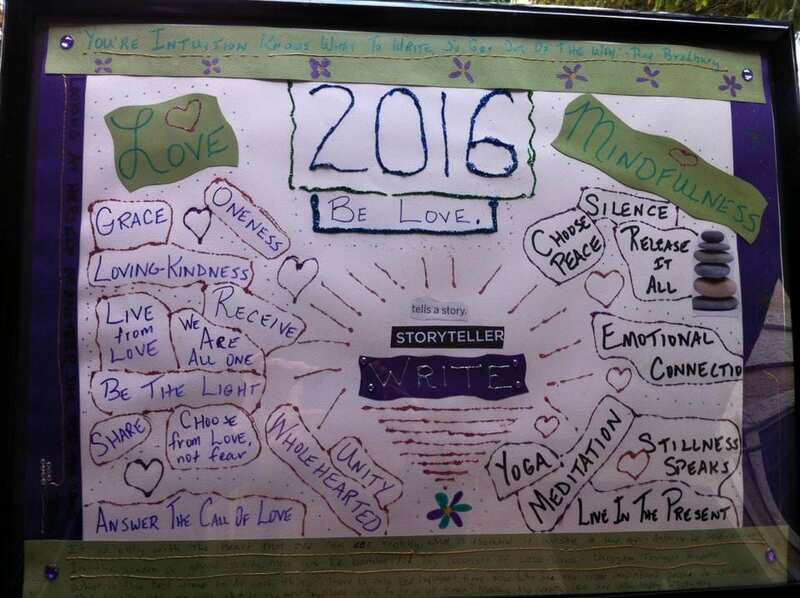 I had a few articles accepted for publishing during 2016 and continued to open my heart to love and focused heavily on mindfulness. 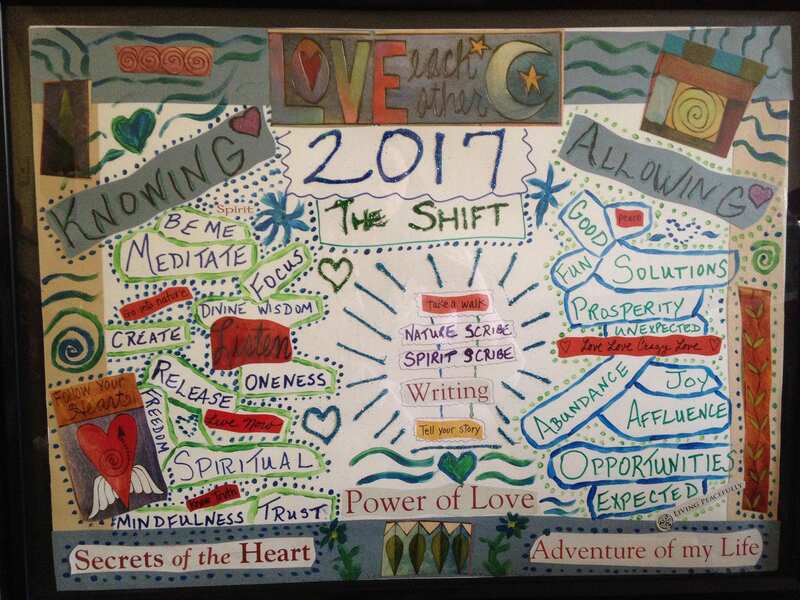 This entry was posted in News and Events and tagged 2017 shift, 2017 theme of the shift, Camilla Downs, camilla downs author, camilla downs writer, creating vision boards, dream boards, preparing for a new year, process of creating vision boards, vision board creation by Camilla. Bookmark the permalink.